This Saturday, July 20, at 11:00 a.m., music loving kids ages 5 and up with parent or caregiver will want to come to the library in order to discover the musical instruments of the world! This unique program will bring together musical cultures and instruments from a diverse range of countries and peoples. Enjoy native folk songs, learn about the history and culture, and try out many of the instruments, too! 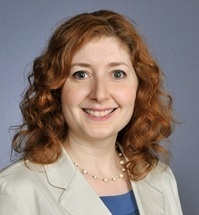 Dr. Michelle Paluch-Mishur returns to the library on Tuesday, July 16th at 7:00 for an interactive slide lecture that looks at late nineteenth century artists such as Cassatt, Tissot, Caillebotte and Renoir and their relationship to exciting developments in the Parisian fashion industry. 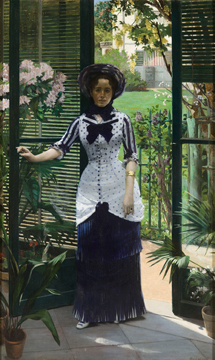 This theme relates to the special exhibition “Impression, Fashion and Modernity,” on display at the Art Institute of Chicago from June 26–September 22. Dr. Paluch-Mishur's lectures are always a big hit and a lot of fun! The board meeting originally scheduled for Wednesday, July 17th has been moved to Monday, July 15th at 7:30. All of our board meetings take place in the Hammond Room and are open to the public. The essay is the only part of a college application that’s completely in the student’s control. On Tuesday, July 9th at 7:30 you can learn how to make the most of it from Hanna Stotland, a college admissions consultant with over a decade of experience. Ms. Stotland will cover getting started, subjects to avoid and how to stand out from the crowd. Students and parents welcome! The library will be closed on Thursday, July 4th and will reopen on Friday, July 5th. You can always renew, search and place holds through our Bibliocommons catalog or through the library app, available for iOS and Android.